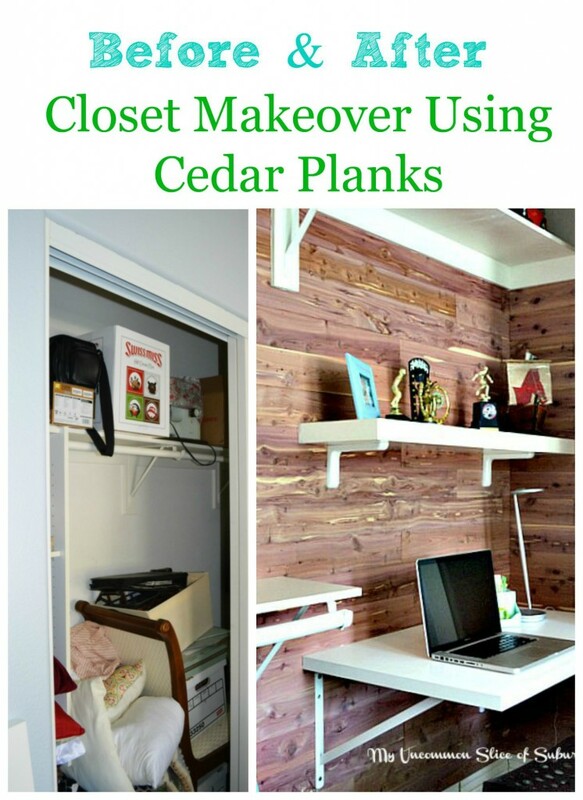 I am so excited to share our DIY cedar planked organized closet with a built in desk today! With 3 boys and 2 of them sharing a room they were starting to get on each other’s nerves. (a lot) This meant we had to say goodbye to our guest room and move our oldest downstairs. This was a huge step for me, for him it was no big deal, why do they grow so fast. 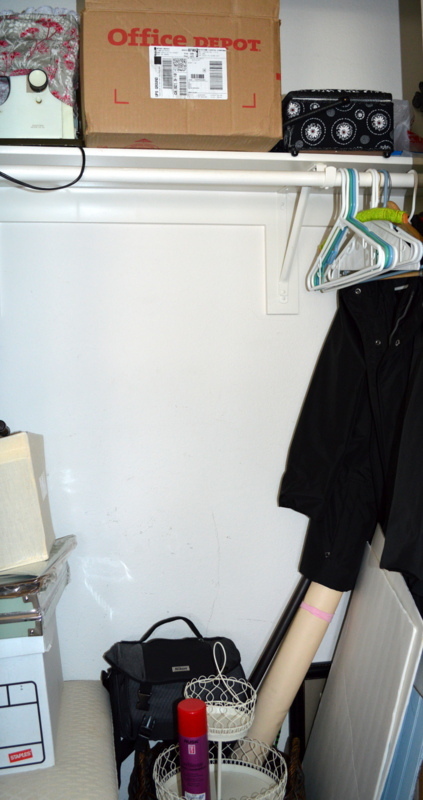 The problem with this closet is it was MY closet. All my books, junk, chairs, blankets, sewing supplies, you name it had to find a new home. Most of it went to goodwill while the other was stored in the already busting at the seams laundry room. 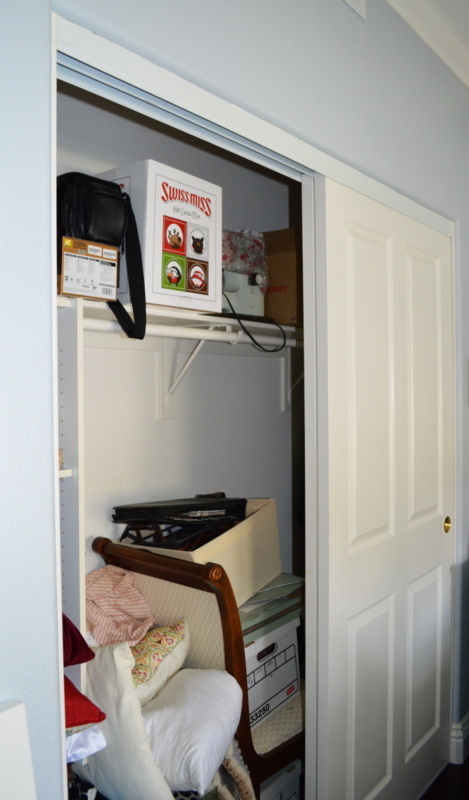 This room is by no means a large room which meant the desk had to be moved into the closet and we had to get creative with storage. 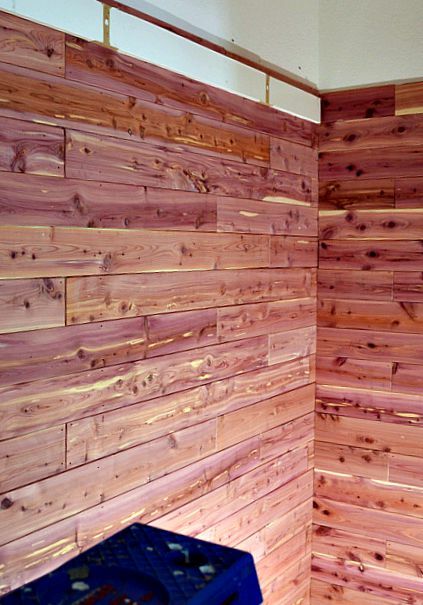 We decided to line the closet with Cedar Safe planks. Cedar smells amazing and they also do something else that is pretty important too. It keeps moths away and clothes smelling fresh. 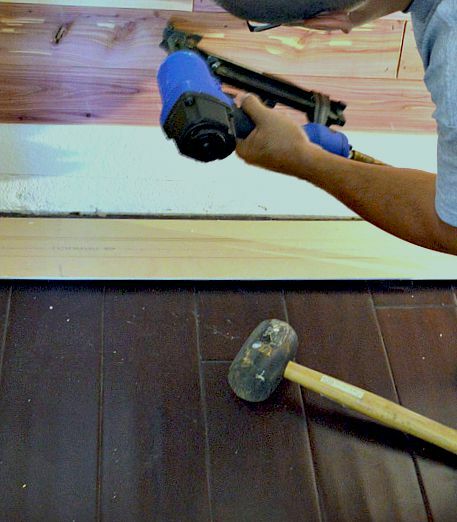 In addition, it also resists mildew that can ruin fabrics. We took everything out, drew out our plans and went to work! 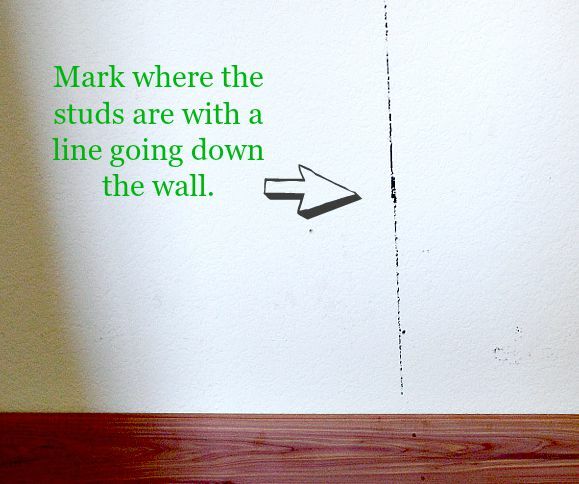 First, we found the studs using a stud finder and marked the wall with lines so that we would know where to nail our planks. You will want to start at the bottom and work your way up, always leveling your first course of boards. 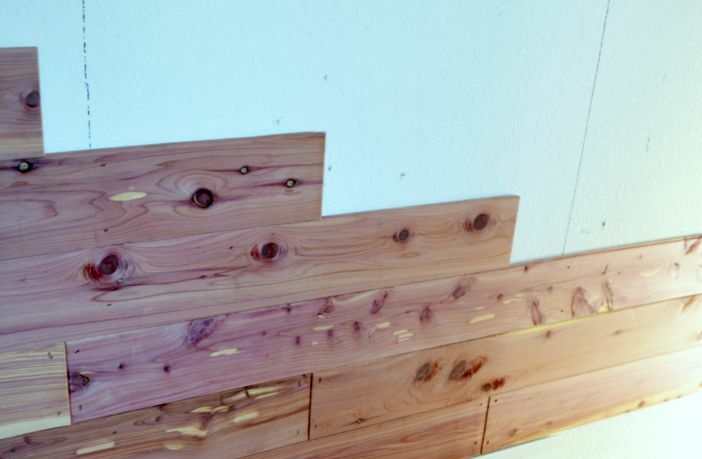 We lined up the first plank with the corner and nailed the cedar boards into the studs using a nail gun. 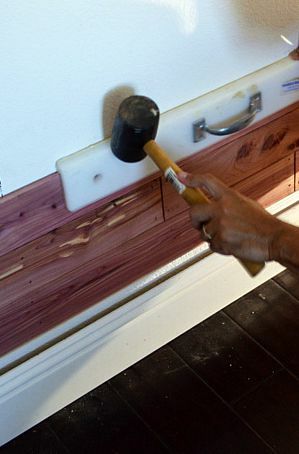 I loved that the planks are tongue and groove which make a perfect fit. Next we measured how long the next plank needed to be and used the mitre saw to cut it to the right size. We lined up tongue and groove, made sure it was level, used the mallet and tap block to have it snug and then nailed it in place. We continued to add boards by fitting the groves onto the tongues of the lower board. After the back was was complete we started on the side walls. After all the cedar was installed we began putting the closet back together. We reused his old organizer by cutting it down to size. 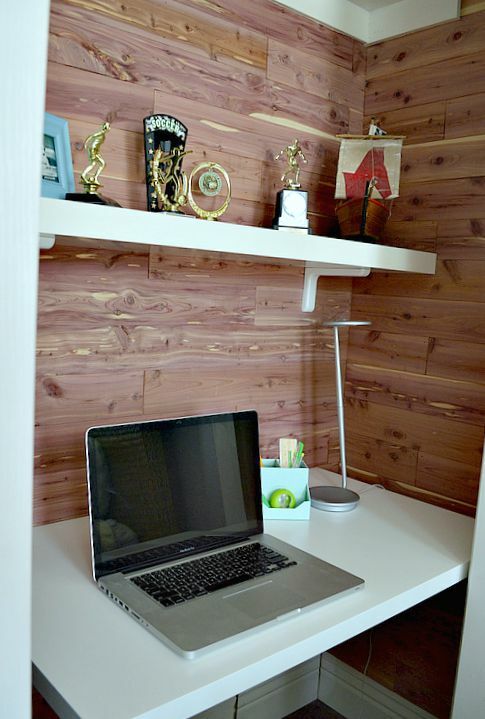 We purchased the desk top from Ikea for $13.00 and it fit perfectly into the little niche. 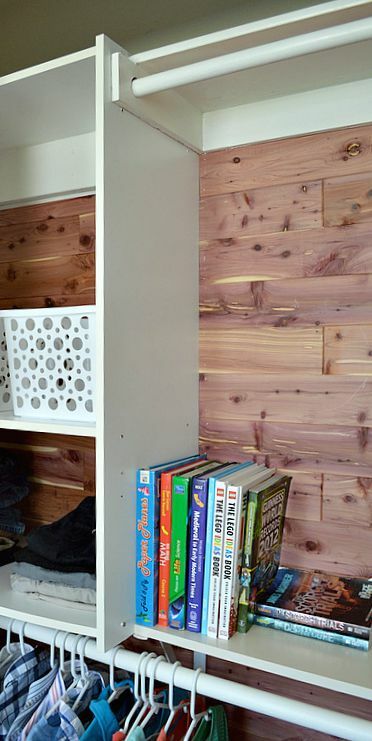 Not only is this space now beautiful and organized thanks to the Cedar Safe, but it is a place where our son can quietly complete his homework with no disruptions. That my friends is a huge accomplishment in this household! A HUGE thanks to my hubby for setting aside time to get one more thing checked off our long list! If you would like to see some more amazing projects using cedar planking you can check it out right here! Thank you to Cedar Safe sponsoring this post and for supplying me with cedar planks for this project, as alway, all opinions are my own. This is gorgeous!! And a desk too!!! No way!!!! I bet they love it. 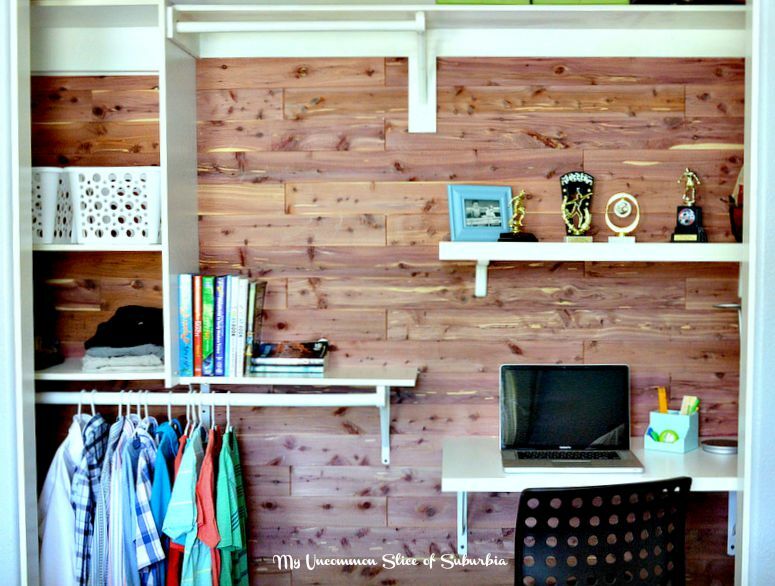 This looks so beautiful and such a great space for boys! 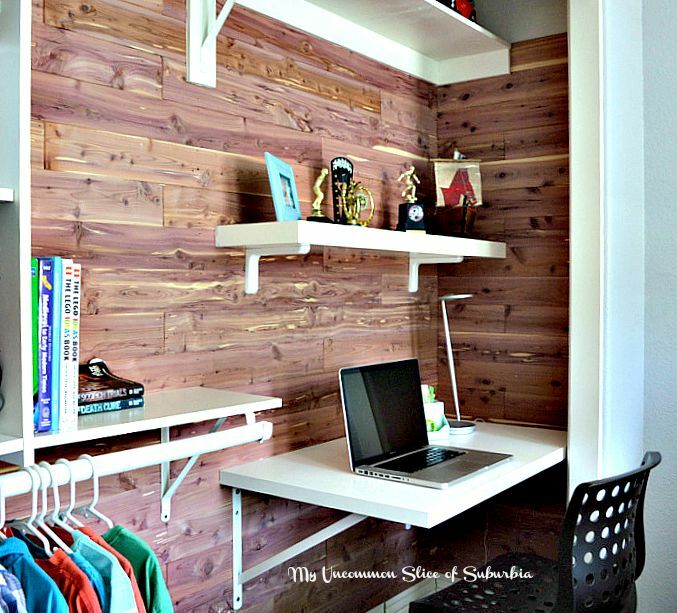 What a smart way to create a functional area. 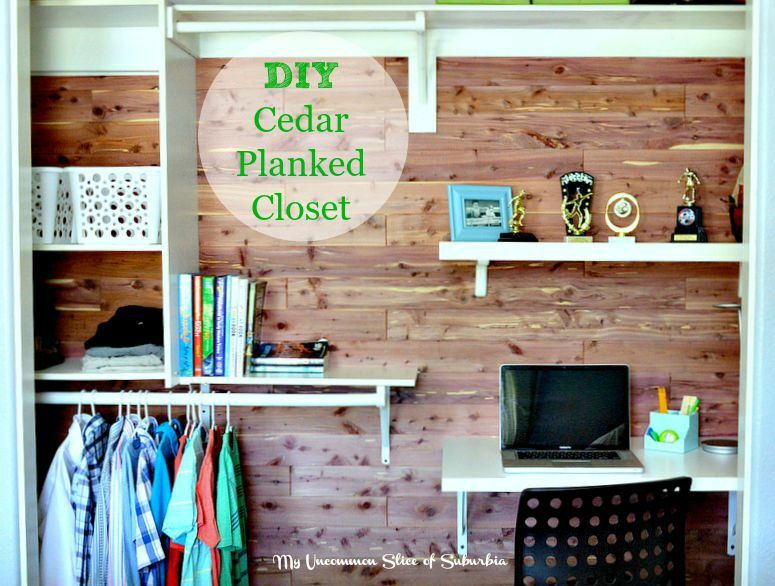 Love cedar closets! Not only are they pretty, but they are functional too! what a difference! Love the way the cedar smells too! Oh my goodness I had no idea this was available. 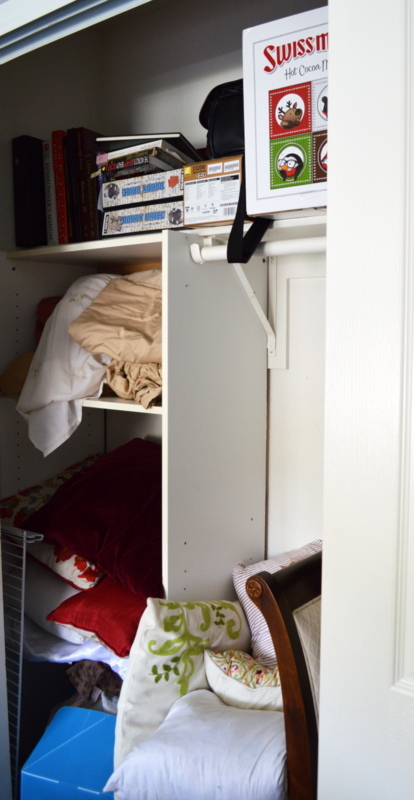 I have a downstairs closet that this would be perfect for. Thanks for the inspiration! It was a good idea. I really appreciate of doing this. Just wanna say thank you for the tips you have shared. Merely keep written work this kind of post. Thanks for sharing this.